Custom Newborn Photography begins at *$299.00 in my comfortable full service boutique home studio. Session styling is planned by photographer and parents together using photographer's collection of props, designer newborn prop clothes, and accessories. I have many newborn sized prop clothing options, hats, hair accessories for baby, you do not need to bring a thing (other than baby supplies and Parent/sibling clothing). Newborn parents and siblings are included in a small part of the session and are welcome to be photographed at no additional investment. Snacks and drinks are provided during your time here. A password protected gallery is included in the session and parents will receive the link by email within 14 days after the session. The gallery will contain at least 40 images from the session and are available to purchase directly from the site as prints, or digital files. I respect your privacy and ONLY with your permission and a model release will I post to social media. From the gallery you can purchase prints and products online a la carte. All albums are designed by me (and client) made by hand by artists through my custom lab. Albums are hard cover and showcase images printed on thick cardstock paper with a Smooth Matte finish. Pricing depends on the cover and page finish options chosen. Albums begin at $620.00 plus tax. A second exact copy of the album would be discounted by $200 when placing original order. Since albums are a custom item and then handmade in the lab, processing time can be 1-3 months. Newborn Studio Session: The first 3 to 15 days of life. 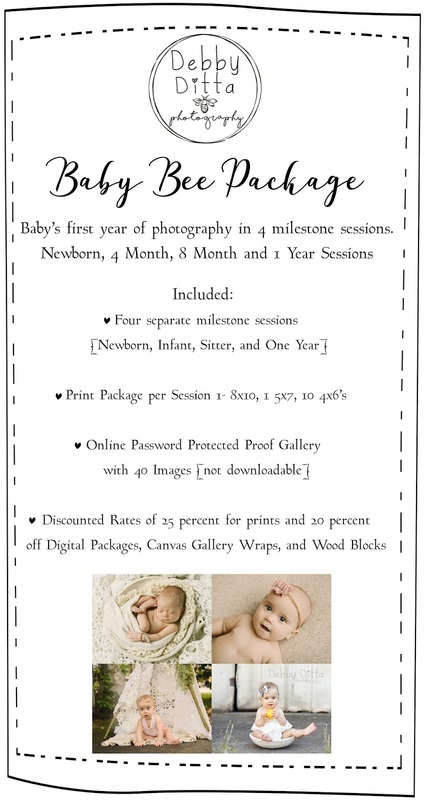 More details about the session as shown above in “Newborn Session Information” description. Approximately 3 hour session. If purchased separately, the sittings and prints in the collection would be over $1500.00. I have greatly reduced the price for the Baby Bee Collection at the investment of only $800.00 plus tax**. This investment is due upon the newborn session and you will receive all the services as described in the “What is included” section above. 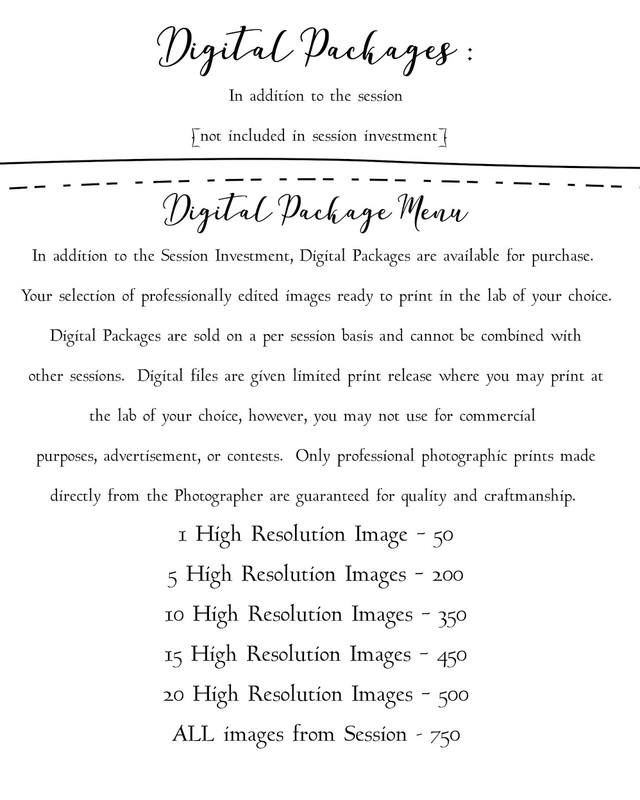 **Prices of packages, prints, products and sessions are subject to change at any time. 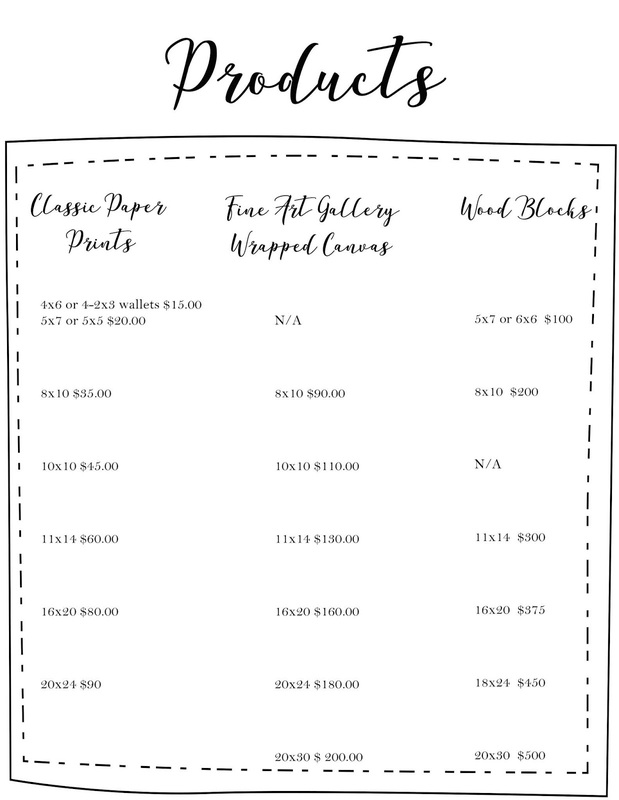 This price does not include any postage costs for your Portrait Collection or Enlargement orders if you choose to have delivered. If you choose to have “on location” photography, it does not include additional destination costs. It is the responsibility of the parent to set appointment within scheduled times and select prints included in the package. If baby is unable to attend one of the recommended milestone sittings (due to illness or relocation only) , parents will receive a credit to be used towards Portrait Enlargements or USB. No refunds will be given. Debby Ditta and Debby Ditta Photography will not be responsible for any damages or injury or loss to person or property before, during, or after the session. 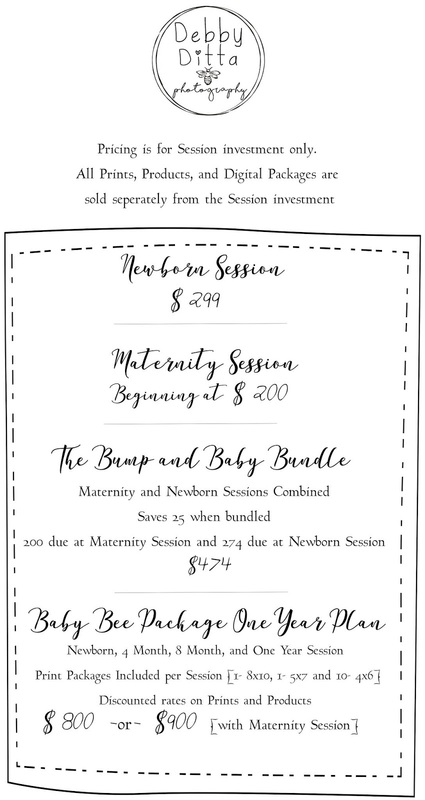 Because the Baby Bee Package is presented at a bulk discounted rate, Paypal payment will not be accepted as a method of payment except for the $50.00 deposit. Payment of cash or check only accepted for the package.